You may be wondering what canaries have to do with bovine tuberculosis, bear with me. The Canary is an online site devoted to investigative journalism and today it ran a story about an outbreak of bTB in southern England www.thecanary.co.uk . 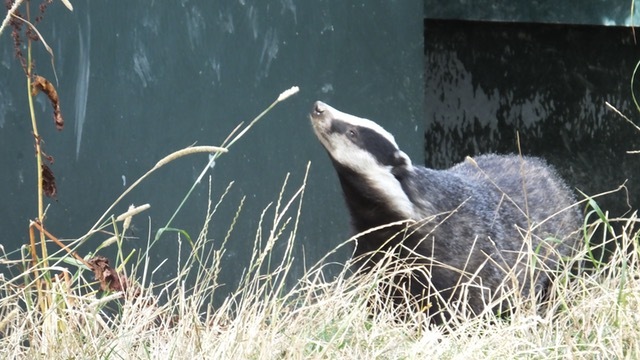 The UK Government, Department of Environment and Rural Affairs (DEFRA) has an ongoing campaign to eradicate bTB, this cost £100m and the slaughter of 28,000 cattle in 2015. Part of the campaign involves the shooting of wild badgers, thought to be vectors of the disease. Oscar Wilde once described people who hunt foxes, on horses with dogs as, " the unspeakable in full pursuit of the uneatable". Fox hunting with dogs was banned in England in 2004 but there is still an influential lobby trying to get the legislation overturned, The whole thing is "political" because Wilde's "unspeakables" are part of the Conservative Party cohort of loyal supporters. In April this year 25 hounds belonging to the Kimblewick Hunt in southern England had to be euthanized because they were infected with bTB and 100 others hounds were placed under a monitoring regime. These infected hounds had spent the previous Autumn and Winter chasing across over 2,000 square miles of farm land. See the Kimblewick Hunt website, www.kimblewickhunt.co.uk . The DEFRA map of TB outbreaks in the UK ( www.ibtb.co.uk) shows that there have been 336 breakdowns in TB control in the Kimblewick area this year, the highest in the UK. A Vet quoted by The Canary has said that there is, " a bTB epidemic locally". Before our recent General Election Mrs. May announced that if she had a majority government she would have a free vote on the reinstatement of fox hunting with dogs. It is strange that it took investigatory journalists to release this story and that DEFRA were silent. Obviously an oversight!